Kale is bursting with nutrients. 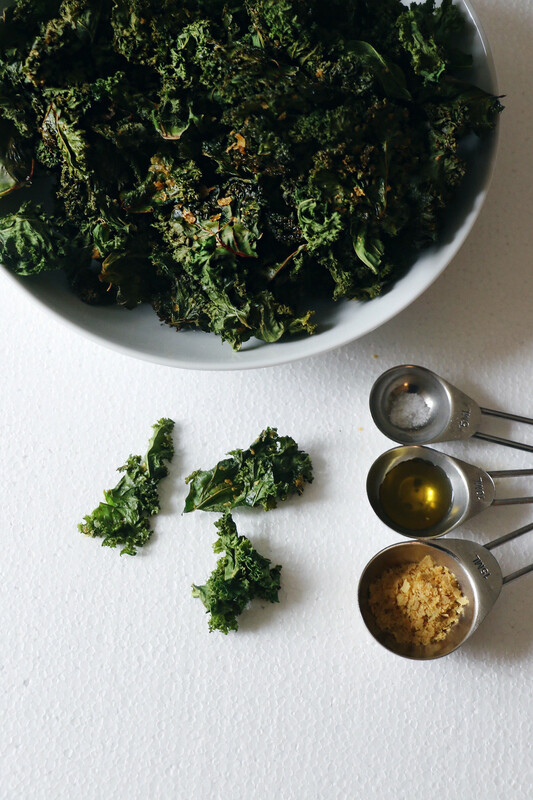 Baking fresh kale leaves creates a delicious snack for a low calorie diet. After numerous tries with flavours, I finally found something to substitute for cheddar flavoured potato chips which are my favorite. Nutritional yeast comes in a flake or powder form & has a nutty, cheesy taste which makes it the best substitute for any recipes including cheese, even sauces. (I am still perfecting my cheese sauce recipe). It is low in fat & sodium & free of sugar, dairy, & gluten. It can be found in bulk stores or the natural/organic food section in grocery stores. I prefer the Bob's Red Mill brand. Wash or clean leaves using a damp paper towel. 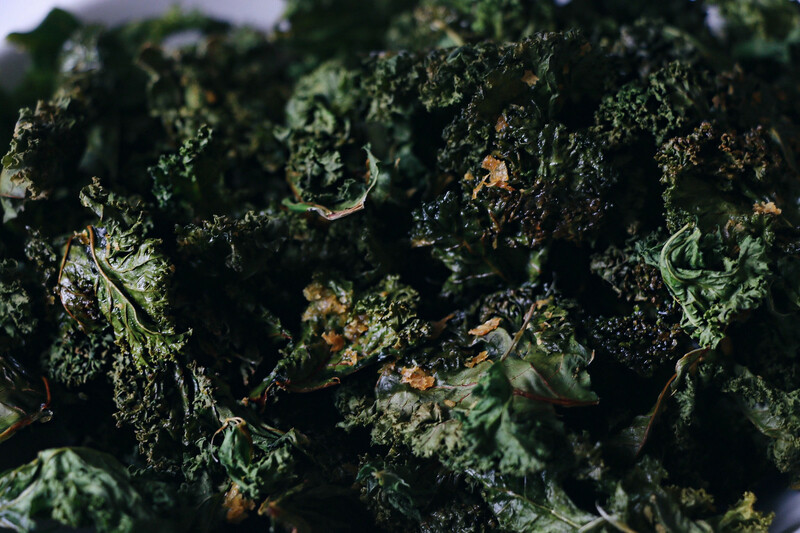 Fully dry kale leaves. 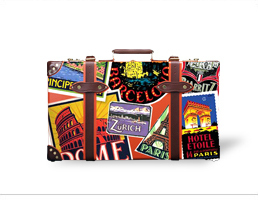 (It is best to do this in advance, then keep the kale refrigerated until ready to use). Remove leaves from stems & break into large pieces. (I save the kale stems for vegetable stock). 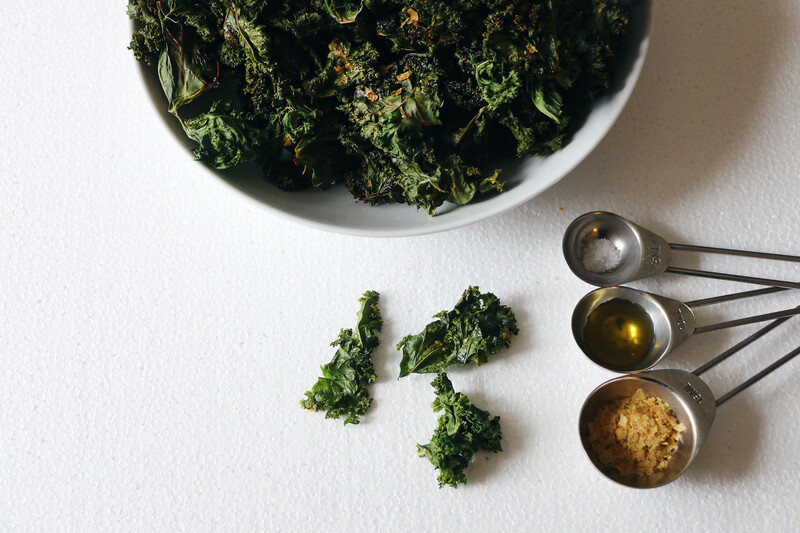 In a bowl, toss with olive oil, nutritional yeast flakes & sea salt. Spread on a baking sheet & ensure leaves are not overlapping. Bake at 300 degrees for 30 mins. Keep an eye on the kale. 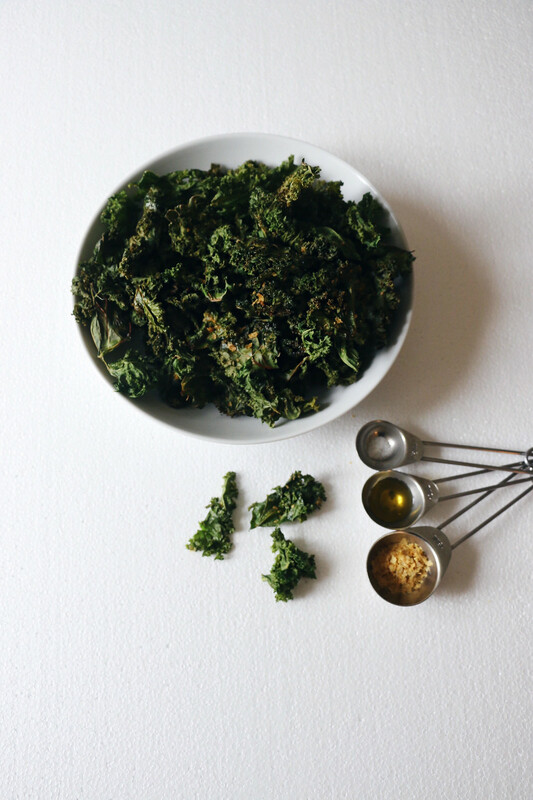 Remove the crispy kale pieces as they bake & set aside in a bowl. Continue removing the crispy pieces as the rest continue to bake. Store in an uncovered container to avoid kale chips loosing their crisp.